UConn Today is the official online news source of the University. Our writers weave compelling narratives to publicize UConn’s successes. University Communications is responsible for local and national media relations, making pitches and coordinating press conferences to share our news nationally. Resources such as our faculty experts database and on-campus ReadyCam studio make it easy for the media to connect with our faculty. Our news and editorial team is the hub for external communications for the University, working with the media to elevate UConn’s reputation on a national level. 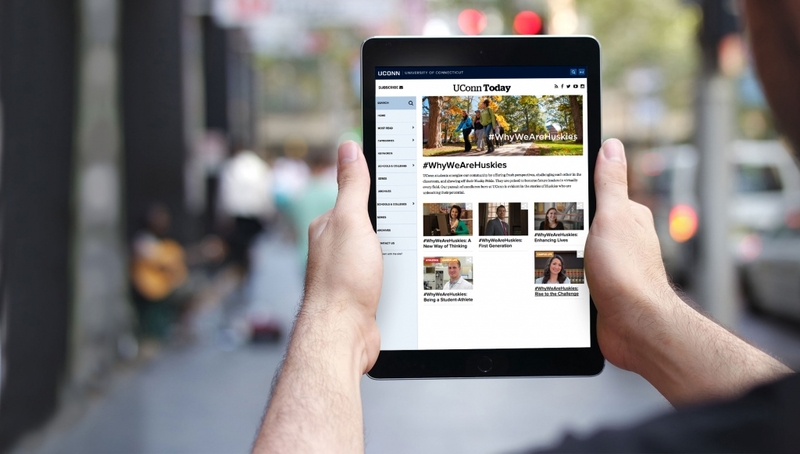 We develop written and multimedia content that appears on UConn’s news website, UConn Today, as well as in UConn Health Journal and UConn Magazine. Further, our office holds primary responsibility for external media relations and story pitching, emergency communications management, and organizing news events and press conferences. Our University news website is the official source for UConn stories, photographs, and videos. Our writers — each responsible for specific University beats — weave compelling narratives to publicize important information about the institution and its programs, faculty, and students. These pieces, which are enhanced by masterful videos and captivating photographs shot and edited by our staff, are the starting point for UConn’s external communications efforts. We offer a mobile-friendly site with rich photo and video capabilities and easy story sharing on social media. And, we launched two news distributions systems — one that offers subscribers the opportunity to receive headlines daily, weekly or monthly; the other enables subscribers to request coverage of specific topic areas. Our news and editorial team serves to spread the news of UConn’s greatness outward, leveraging partnerships with local outlets and making big pitches to national media to attain coverage of UConn research, initiatives, and downright interesting stories. 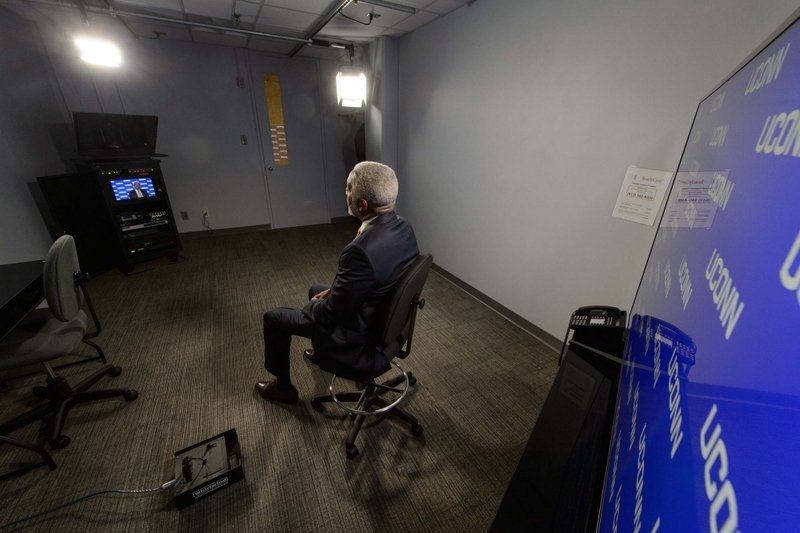 Our spokespeople and editorial associates are the go-to sources of institutional information for journalists, answering their questions when news breaks and connecting reporters with faculty experts for features and in-depth stories. A partnership with academic news outlet The Conversation has garnered 3.9 million views on stories authored by UConn faculty. Our media training is designed to instill confidence among members of the academic community in speaking with news media. As a public institution, it is extremely important for researchers, administrators, and the University to respond to media queries. Some of the topics we discuss with UConn community members include the importance of deadlines, when to defer to University Communications, and when to admit that something is beyond one’s area of expertise. To learn more about media training, contact Kristen Cole at kristen.cole@uconn.edu.